R has great plans for M to play violin. Maybe we’ll even start lessons at 3? He gave her a decorative violin to play with and she absolutely loves it. She pretends to play it. We felt like she deserved something closer to the real thing, since she’d been using a cat toy (essentially a plastic stick with feathers on the end) as a bow. 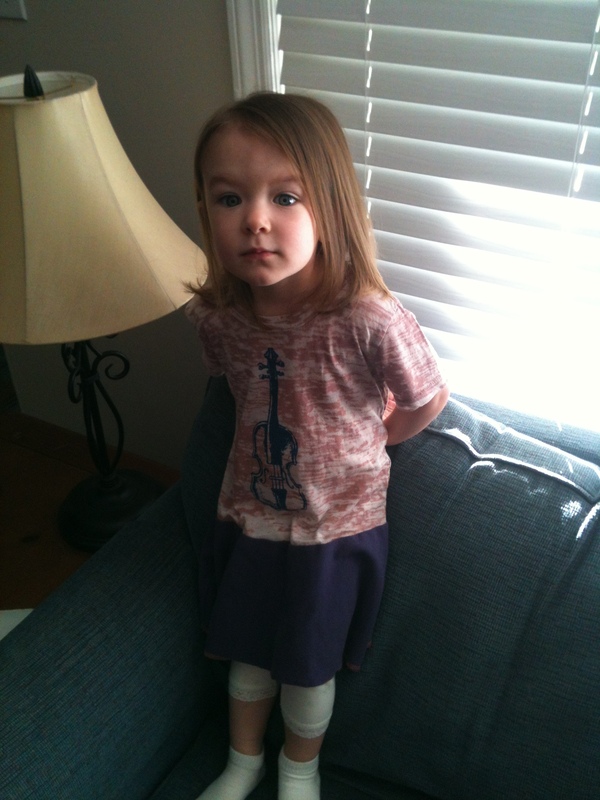 She calls it her “fiddle.” She even has a new dress with a violin on it! 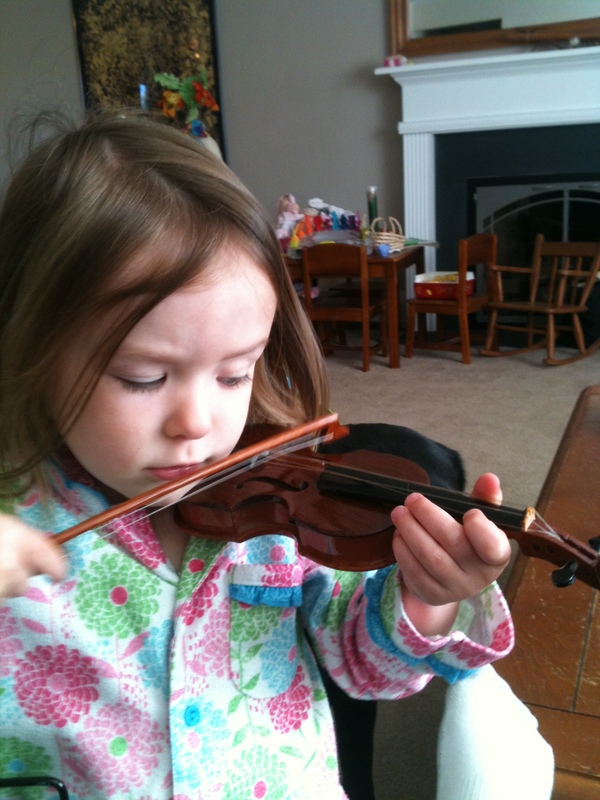 Maybe she’ll be a fiddle player in a folk band instead of a classical violinist. Either way, he’d be so proud. But we’re all about letting her do whatever she feels like she wants to do when it comes to playing an instrument. I just hope she’s more musical than I am! This entry was posted in Miss M.. Bookmark the permalink.